Swansea City’s star striker Miguel Pérez Cuesta, commonly known as Michu, will be absent from the Premier League until mid-February following ankle surgery. The Spaniard had been missing in action since a December 15th match against Norwich. The problems he’s endured have been “long-standing,” says manager Michael Laudrup. “It’s not good news,” he said of the surgery. Currently, Swansea City is holding 13th place in the league. Michu has scored six goals in 19 games this season, so his absence will undoubtedly sting. When he joined the team last summer, he scored 22 goals in 43 games last season. However, knee and ankle injuries have plagued him throughout this season. The 27-year-old will end up missing at least six weeks of play, following his ankle operation in Portugal during the last week of December. His ankle injury, when combined with winger Nathan Dyer’s ankle ligament injury, leaves management scrambling for a forward during the January transfer window. The team is reportedly eyeing Liverpool striker Iago Aspas. There are many reasons why Michu’s ankle has caused him such pain and grief this season. Usually patients suffer chronic pain following a nasty sprain. The connective tissue between the bones becomes stretched or torn. When players rush back to the field to play after an injury, the surrounding ligaments and muscles may remain weak and unstable. From there, players may suffer tears, fractures, nerve entrapment, arthritis, or the development of scar tissue — all of which can cause inflammation and pain. 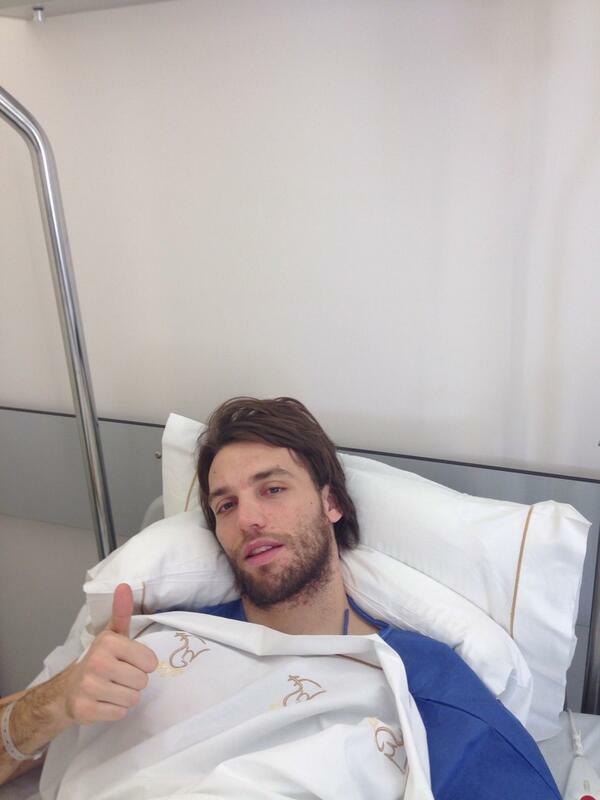 Michu posted a photo of himself recovering from ankle surgery. Conservative treatments — like physical therapy, injections, anti-inflammatory medications, and support braces — are rarely effective if the ankle has not been given adequate time to heal. Surgery can take up to 10 weeks for recovery, even when arthroscopic techniques are used. During surgery, loose fragments of bone and tissue are removed, the joint surface is cleaned, ligaments are reconstructed, and tendons are transferred from elsewhere in the body. Here at The Center for Podiatric Care and Sports Medicine, ankle surgery is one of our specialties. We work with patients in developing the best treatment plan for their specific needs to help get them back in the game .